Mike Austin described it as a ‘step down’. Fans of Jack Nicklaus called his move a ‘left heel stomp’. The ‘Snead Squat’ leads to it. And Happy Gilmore does it on steroids. What is it? 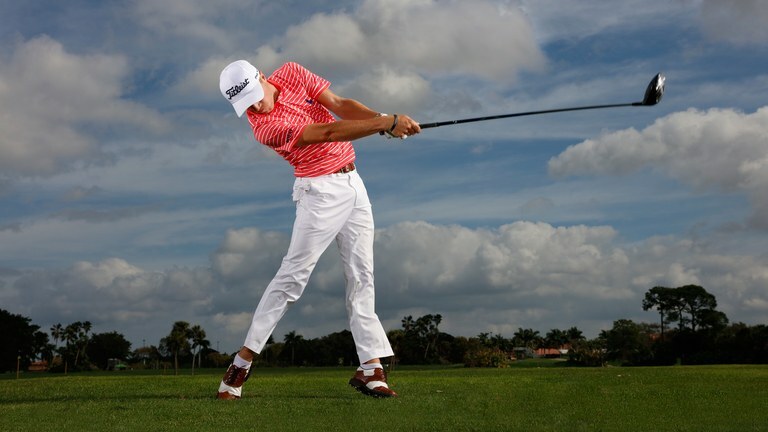 It is the vertical force applied into the ground via the lead foot, particularly the heel during the downswing. It doesn’t occur when the body starts to sit or squat – it’s when the body, especially the left knee, starts to extend upwards with the left hip. But it is set up by the body’s center dropping down first. Our net weight relative to the ground is always changing during a golf swing. It’s easy to test this by stepping on a scale that has a dial to read weight (not digital). Try squatting down and then standing back up straight very quickly. As you go downward, the scale will make you seem much lighter – almost weightless if your body fall were to approach the speed of gravity. Then as you go upwards, the scale will spin around to nearly double your bodyweight if you go hard. It’s really an action-reaction response as dictated by the laws of physics. Mike Austin used to describe this in terms of applying torque on the grip, but it also exists into the ground. 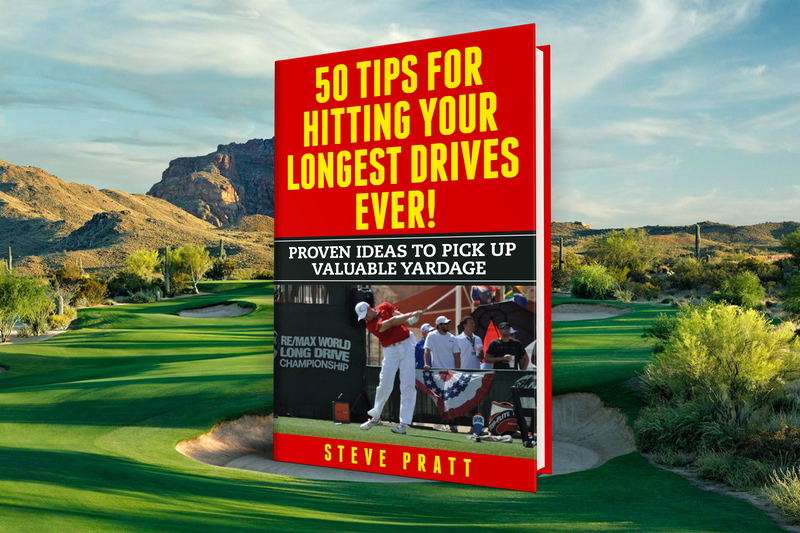 As you straighten up from the halfway down position into impact, it causes the response in the shaft of the club to get whipped downwards into the ball. 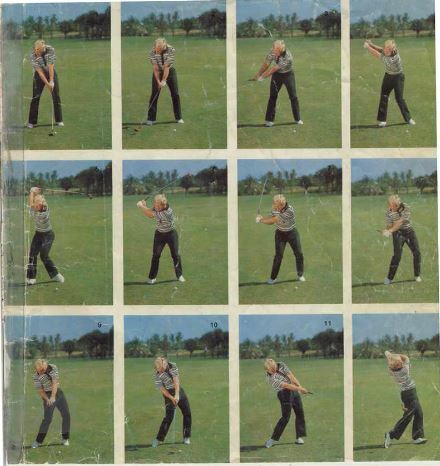 You can see in this photo how Nicklaus’ lead foot is forcefully returning back to the ground. His center of gravity is starting to drop. The forces in the ground have not started spiking just yet although the foot is starting to plant. 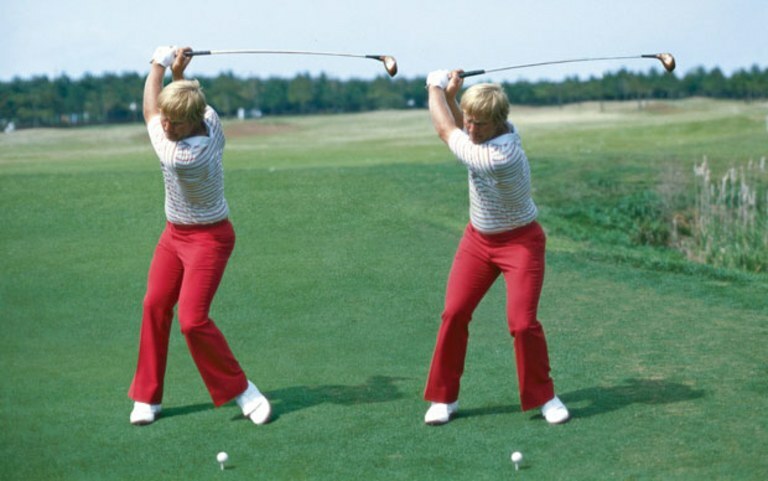 In the 7th frame of this swing sequence, sometimes known as P6, Nicklaus’ club is relatively vertical from the viewer’s perspective. It is at this point where near double his bodyweight, say 400 lbs. is being driven into the ground. 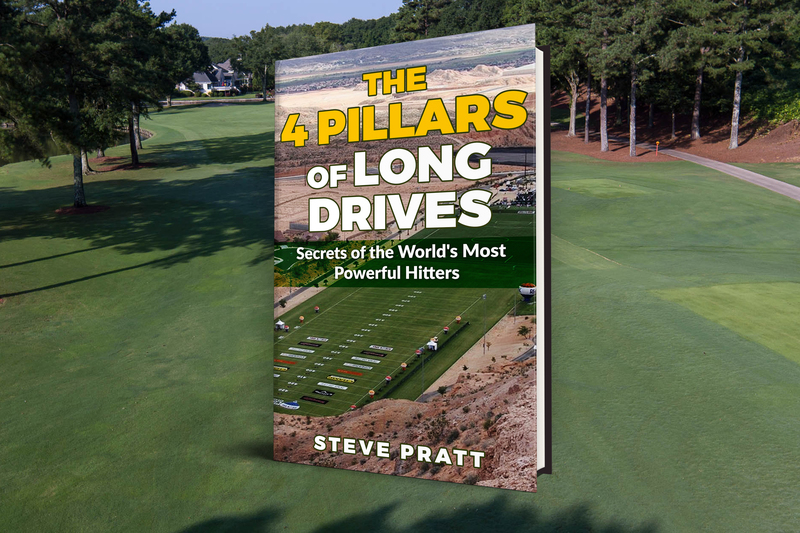 A long driver, such as world champion Justin James, can possibly exceed double his bodyweight into the lead foot alone as he reaches vertical shaft position coming down. Dr. Sasho McKenzie, a PhD in Biomechanics at St. Francis Xavier University is one of the leading golf scientists in the world. He has been noticing an extremely strong correlation between vertical forces in the lead foot and clubhead speed for a long time now. This has been my suspicion as well, but he has actually measured it. Sasho uses a sophisticated force plate in a lab setting to measure ground forces during a golfer’s swing. Forces are measured in three dimensions. So can a golfer’s technique affect the vertical ground forces? And would it be effective to train for greater ground forces to increase clubhead speed? Finally, do golfers who actually get airborne at impact have the greatest amount of ground force? Remember that the ground pushes back with equal force, springing you upwards in response.